Best Price in Sydney Guaranteed! Quotes Done Within 2 Days! Work Start Within 2 Weeks! We will beat any quote. 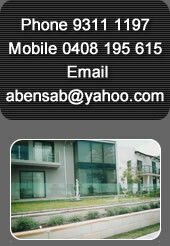 We are a Sydney-based manufacturer of handrail and balustrades. Licensed Builder Available. We design, manufacture and install balcony handrails, stair handrails, pool fencing, gates and perimeter fencing.